We all want to take our furry loved ones on vacation with us. After all, eating treats and getting belly rubs is hard work! 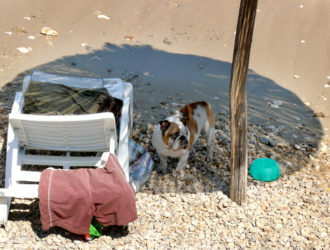 To keep the beaches clean and simply because some people, inexplicably, aren’t animal lovers, most beaches on Island Krk, and through all of Croatia, are restricted to pets. 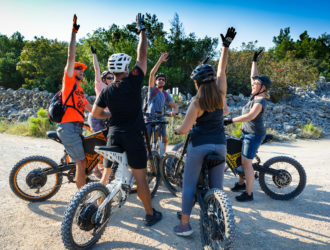 Violating said restrictions may result in a hefty fine, especially during the busy summer months. But don’t worry, we feel your pain! So, we put together a list of our top 5 favorite dog beaches on Island. 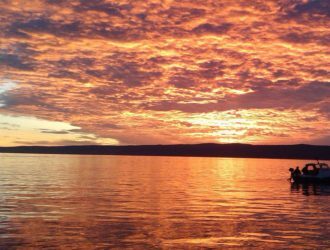 This pet friendly beach is in the town of Punat approximately 500m from Punta Debilj beach. 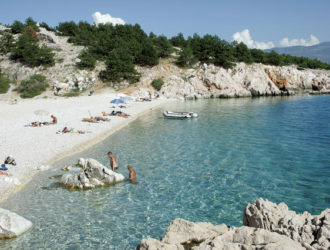 Mala Krasa is a pebble beach that may be considered a bit on the smaller side of dog beaches. 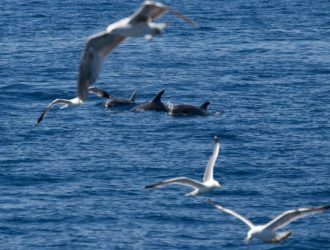 However, the location gives it a secret beach kind of feeling and is separate enough from other beaches so that dogs can run free without the worry of them straying to far. The path to the beach provides a nice walk, with shaded areas at points, for your energetic companions. Placed at the end of Baska’s famous Vela Plaza beach, dogs get to share a piece of the 1,800m long sandy beach. This is the only sandy dog beach on the island making it very special to those doggies who love rolling around in the sand. 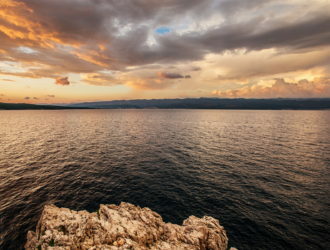 The crystal-clear water and view of the Velebit mountains provides for a breathtaking view. 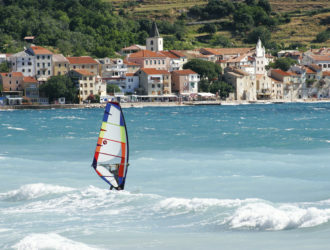 Located in the Municipality of Njivice, this dog beach is 200m from the main beach in Kijac village. This pebble beach is larger in size than other dog beaches and is surrounded by pine forest, giving the beach a woodsy, scenic feel. A small pebble beach, accessible by car, Mala Javna is in the wine-making town of Vrbnik. The beach is very private and is widely overlooked by even many locals. The lack of popularity makes this beach ideal for those doggies who rather play alone during the early morning hours. 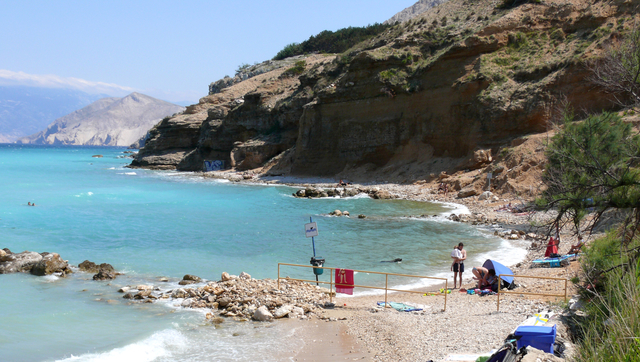 Located in the historic town of Krk, this doggy beach is only 50m away from the main beach! 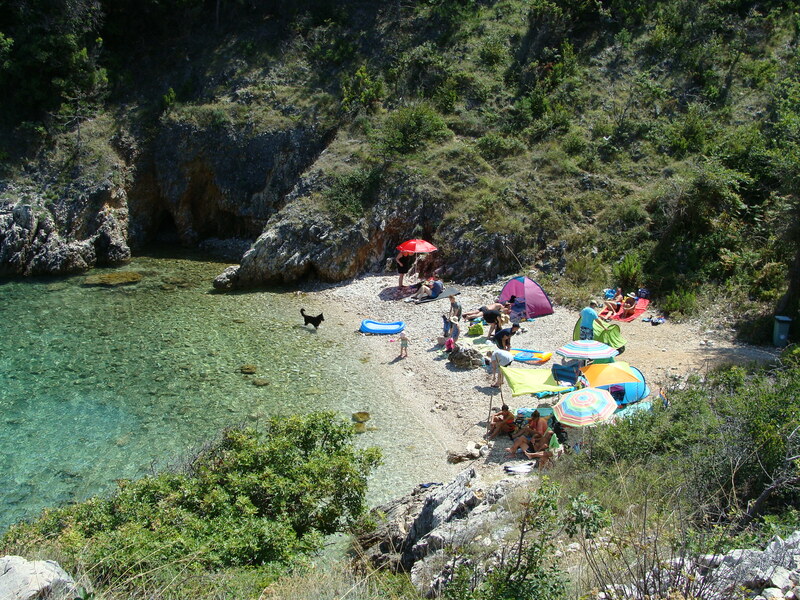 This dog beach follows the typical small, pebbled, and surrounded by pine forest characteristics as other dog beaches on Island Krk. Fortunately, its proximity to the main beach means a closer walk to the cafes where you and your companion can relax with a drink in hand… or paw. Laying on the warm pebble beach and swimming in the clear Adriatic Sea is an experience too beautiful to keep from our doggy companions. We hope this list will help you and your puppers explore these beaches and find the perfect one for you. Happy beach travels! 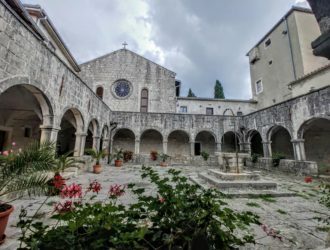 Where to Eat Fresh Fish on the Island of Krk?